An arson fire that left an elderly San Mateo woman dead earlier this month was a targeted gang attack, police said Monday. On Friday, police arrested Fifita Ponifasio Tau, 26, of East Palo Alto in connection with the blaze. Crews responded at 4:26 a.m. Feb. 19 to the fire in the 100 block of S. Humboldt Street in San Mateo. Firefighters helped four people get out of the home and two others from a detached garage, authorities said. Residents, however, told firefighters that one person was unaccounted for, and crews went back in to pull Susana Tonga, 85, from the burning home. They performed CPR, but Tonga did not survive. Police haven't released information on why Tau targeted the home, but investigators said he was acting independently of his gang, said San Mateo police spokesman Michael Haobsh. Fire investigators found an accelerant near the front of the home but haven't released detailed information about it. 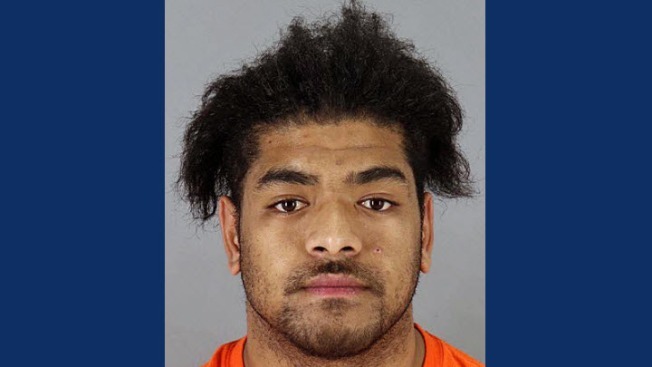 Tau was arrested at 8 p.m. Friday at a home in the 2300 block of Oakwood Drive in East Palo Alto in connection with the fire and death of Tonga. He was taken to San Mateo County jail. Anyone with information on the fire is encouraged to contact Sgt. Lee Violett at (650) 522-7650 or by email at lviolett@cityofsanmateo.org. Anonymous tips can be submitted to http://tinyurl.com/SMPDTips or by calling (650) 522-7676.